This bug will be a catch all for recent Samsung Nexus & Nexus 7, or please comment what other recent Andorid 4.x devices are affected. Yes there is a lag in providing support for the most recent devices. As soon as the fixes are available, SRUs will follow. I'm on Ubuntu 11.10, using a Samsung Galaxy Nexus with Android 4/ICS. 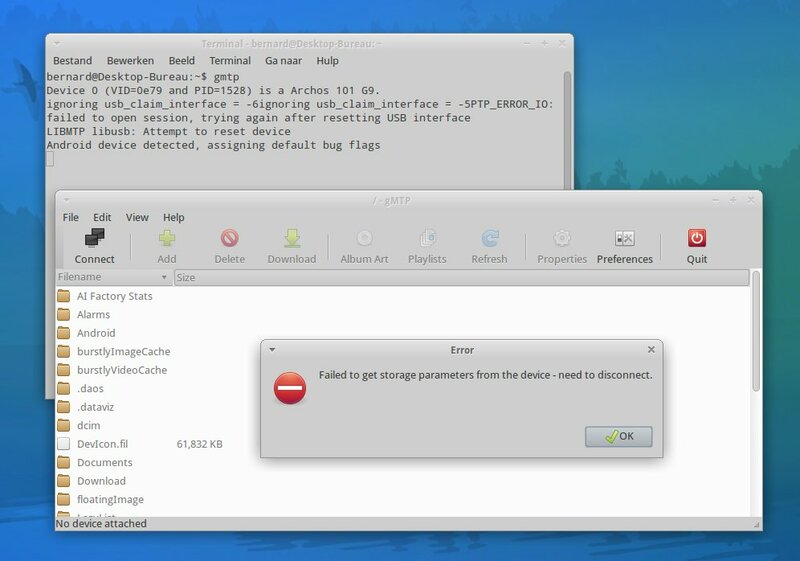 What I observe is that connecting the GN in ptp mode behaves almost exactly as it if it was connect as a USB mass storage device, i.e., automount, icon (camera) appearing in the Launcher & Nautilus, possibility to create/move/delete any kind of files/folders, etc. Even with Banshee (and Rhythmbox I presume), if you put an ".is_audio_player" at the root, the GN will me recognized as a Media/Audio player! Anyway, I guess that if the mtp connection was providing the same kind of access as ptp (by default, GN is set to connect as mtp device), it would be easier for novice users to have their GN phone works with Ubuntu. I cannot get USB support to work with either Media Device (MTP) which gives no response at all, or Camera (PTP) which will trigger a camera icon. When clicking "open" on the icon, I get a window with a "Galaxy" title in Nautilus, follwed by a long pause, and the eventual message, "The folder contents cannot be displayed. Sorry, could not display all the contents of "Galaxy": DBus error org.freedesktop.DBus.Error.NoReply: Did not receive a reply. Possible causes include: the remote application did not send a reply, the message bus security policy blocked the reply, the reply timeout expired, or the network connection was broken." Thus, I am forced to use "Airdroid" rather than accessing the device in the normal manner. Here is a copy of the tmp/udev-db.txt that corresponds to my prior posting. @traverlaw Did you try to follow the tutorial at "OMG! Ubuntu" which is linked in the bug description? Andre asked, "@traverlaw Did you try to follow the tutorial at "OMG! Ubuntu" which is linked in the bug description?" Yes I did try it, several times, in many different versions as found on the web, and it does not work. I also upgraded via compiling to libmtp-1.1.1 and it still did not work. File access to a Galaxy Nexus via Linux should be an easy plug-in-the-phone treat, not requiring hours of searching the web, compiling new packages, editing files, and manually mounting and unmouting. When finally able to get to the files with the new lebmtp, they could be seen, but not accessed. Picutres would not show, music would not play. It was, from the user perspective, a wild goose chase that led to nothing. Android, it appears, is leaving Linux behind, and that is a very bad thing for Linux. 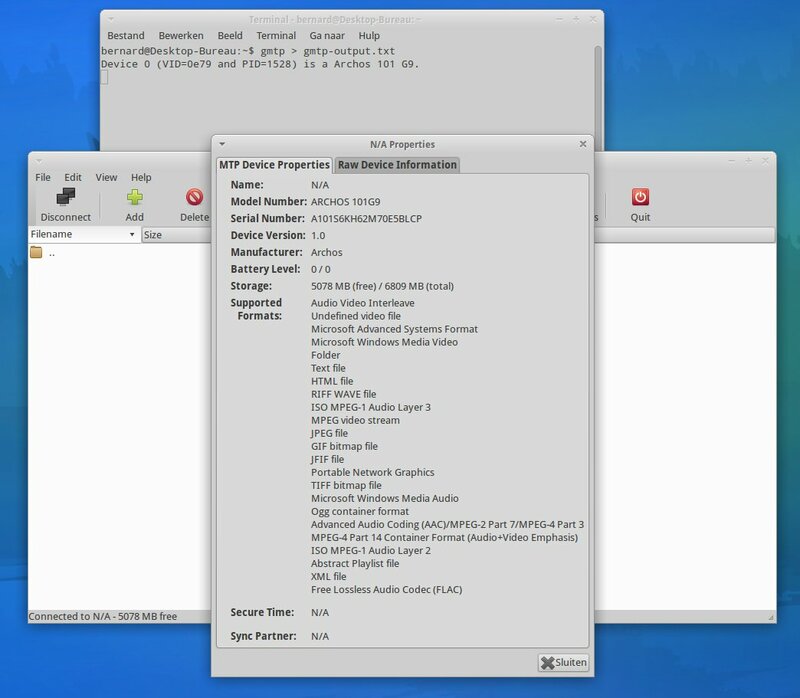 So basically, the only thing to resolve here IMHO, is to have the Galaxy Nexus well recognized by Ubuntu as a mtp/ptp device (and, if possible, to provide complete file access with these protocols). I am using Ubunto 10.04 LTS. I followed the instructions in the referenced document. However, when I execute the mtp-detect | grep idVendor or mtp-detect | grep idProduct commands I get no output. It just returns to the cursur. I have recently bought a Asus Transformer Prime which gives no feedback on my Kubuntu 11.10 laptop when I hook it up in MTP mode. Mass storage does not seem to be one of the options for USB though that might be because I did not have any external memory hooked up when I connected it. Using the instructions a OMG ubuntu I was able to mount the system quite quickly. I also own a Samsung Galaxy S. Though this still has mass storage support for the built-in memory, I tried hooking it up in MTP mode for a change. Something actually did pop-up and seemed to give some access to the phone. It seems however that I did not have access to all the files as I do seem to have on Windows. I do hope that this can be included in the next release of (K)Ubuntu because a lot of people will be running into this now. If Ubuntu truly wants to remain a distro for the not-so-technical users things like this should really be picked up early. @w-troop: you might have to install the package mtp-tools (i.e. execute 'sudo apt-get install mtp-tools' ). Though I would still except some output even if it is not installed. You could try executing just 'mtp-detect' and see if you can find the values yourself. libmtp is involved in MTP support because udev rules and protocol implementation are provided by that package, so bundling a recent one is required. When pluging in an MTP device nautilus should show the device content like with any mass storage device, no matter how, this is the behavior poeple are especting. I'm using ubuntu 11.10 64 bit. This bug should be fixed by the latest release uploaded to Precise. it works for me now. it automounts in nautilus through gphoto2 mtp backend. for the record; i'm on a samsung galaxy sII with official samsung ICS ROM and although I do have a external sd-card, I don't have the option to mount it as USB mass storage, only choices are between MTP and PTP. I've a Galaxy tablet 10.1 and 12.04 does not recognize it! I have a Samsung Galaxy Note and 12.04 does not recognize it! Nexus-S_4G with Android 4.0.4 can be mounted as easy as it has been with 2.3.x. Vanilla Android seems to work great. "Unable to open the Samsung GT-P7310/P7510/N7000/I9100/Galaxy Tab 7.7/10.1/S2/Nexus/Note device"
The best would be to be able to access it using Nautilus since it is not only photos and music, there are videos, ebooks and any other type of file that we may want to transfer between the devices! I have a Samsung Galaxy Tab 10.1 and despite a fully up to date Precise system, MTP support is not working. As described in bug #696301 the problem still exists in precise. Are you making sure the phone is unlocked when you plug it in? If the phone is locked, then you'll see an empty nautilus window. Once you unlock it, press F5 to refresh the window (My quantal builds are against libmtp 1.1.4 which has no event notification support - if built and run against 1.1.5, it will auto refresh when you unlock), and you should see some content. As for Thunar, I'm slightly surprised it doesn't work. I haven't tried it so I have no idea what it does but my work should be transparent to anything that uses gvfs 'normally'. It's possible that Thunar handles some of the backend registration differently from Nautilus and may need explicit code changes to know that the mtp backend is available. I got this message often with the old version of gvfs and libmtp. Have done a restart after updating? I'm using a Galaxy Tab2 7.0 and have had similar problems. 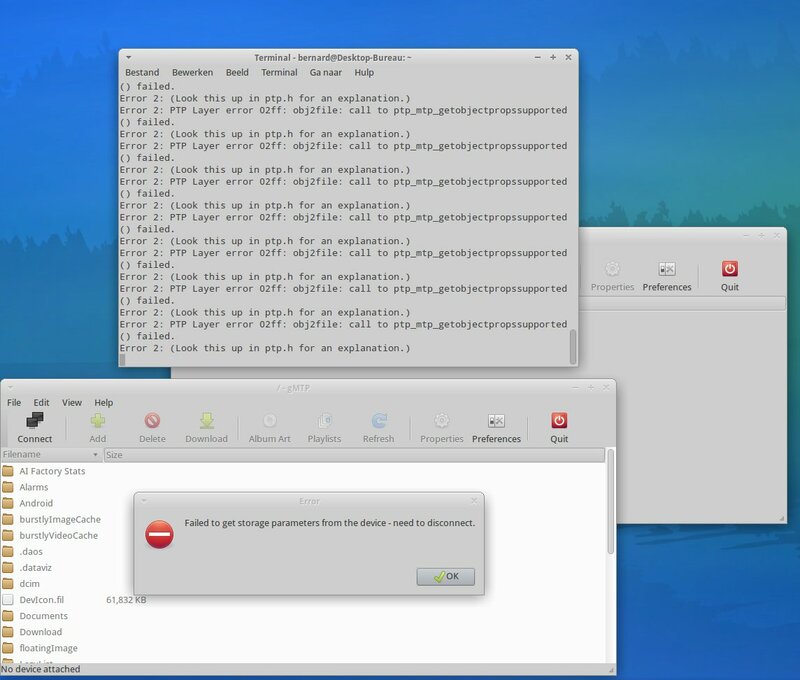 I cannot access the device at all using any of the known mtp tools (mtpfs, go-mtpfs, or jmptfs). I supposed that maybe upgrading to libmtp-1.1.5 will help. I downloaded the libmtp-1.1.5 tarball, dropped in the debian/ directory from the previous version's deb src, changed debian/changelog and built a new deb containing the various packages for version 1.1.5.
mtp-detect succeeds. go-mtpfs and jmptfs work. Sometimes "fusermount -u foobar" will fail because the system thinks I'm still doing something in foobar. Regular mtpfs works unacceptably. It seems that it does a union mount of the internal sdcard on top of the external sdcard and sets all the permissions to 777.
gvfs changes are now merged upstream. For the record, support for a proper MTP backend just landed in upstream gvfs. Once raring gets glib 2.35.x, we can package this. Works flawlessly with Samsung Galaxy Nexus GSM, even with (sometimes flawed) Nautilus file copying. Thanks for the much needed fix and the PPA! * debian/watch: Look for development releases, too. which do not support the USB Mass Storage interface any more. - See NEWS for other changes. * Bump build depends and add libmtp-dev according to upstream configure.ac. * debian/gvfs-backends.install: Install new MTP monitor. debian/tests/integration to use tests/gvfs-test instead. * Add 00git_fix_archivemounter_tests.patch: Fix ArchiveMounter tests. won't let me see pix or mount device with mtp or ptp chosen on the phone. It is now well over a month since this bug has been marked as fixed. Is this ever going into precise and/or quantal, or will this version of gvfs only be available from raring onwards? which by far doesn't meet the usual SRU criteria. Unfortunately, these newer Motorola devices appear as... wait for it... a CDROM drive. The CD image contains the installer for some windows software that they want you to run, which will send a magic USB packet to the phone to switch it into MTP mode. That's really what's going on. I haven't found any useful information about this online, so it doesn't appear anyone's reverse engineered the magic packet. Sad sad sad. to file a bug against usb-modeswitch-data, anyway. This is a very BIG regression, because it used to work normaly (at fast speed) on my computer since last week where I have let ubuntu proceed to updates. With Ringtail-13.04 I can access Android 4.2.2 data on my Galaxy Nexus . and can mount/unmount and copy data to it. A big advantage for 13.04 over 12.10. Thanks to all the folks who made this work again. I've been too lazy to try go-mtpfs, up until now. It just works flawlessly with Galaxy Nexus / Android 4.2.2, unlike libmtp and its ecosystem (gmtp, rhythmbox, nautilus). Bus 006 Device 002: ID 0424:5734 Standard Microsystems Corp. Bus 005 Device 004: ID 0424:274c Standard Microsystems Corp. Bus 005 Device 002: ID 0424:2734 Standard Microsystems Corp.